As always, there was a mounting excitement during Holy Week, Μεγάλη Εβδομάδα, leading up to the Ανáστασι—the Resurrection, an anticipation of something extraordinary about to happen, something totally inclusive. outside the everyday world, yet so much of this world. Bishop Ierotheos, the Abbot of St. Irene Chrysovalantou Monastery in Astoria, carries the Cross of Christ, during the Service of the Crucifixion of our Lord, on Holy Thursday, April 5, 2018. The great anticipation that was building from sunset to the stroke of midnight, when the new flame was either struck in the altar, or the priest lit his candle from the perpetual lamp kept burning there with the Holy Flame, the Αγιο Φως pierced the tomb-like darkness of the church, Then the sweet command, “Δεύτε λάβετε φως, “Come receive the light from the unwaning light, and glorify Christ who rose from the dead” followed by the joyful shout of what are perhaps the two most resounding words you will ever hear in your life: Χριστὸς Ανέστη! Christ is Risen! Everyone, as if one unit, was part of the revelation, confirming the reality of Christ’s victory over death. Even some who don’t attend church regularly attended the churches; as always there are some non-Orthodox, who having been brought by Orthodox Christian friends at one time and continue to be drawn every year to the beauty and mystery of the experience; the Byzantine chanting, the golden robes, the incense and candles and then the dark moment of mystery before the blaze of light from the altar. the dead, trampling down death by death, and to those in the tombs bestowing life.” Then in some churches the priest and congregation holding their λαμπάδες were able to go outside. 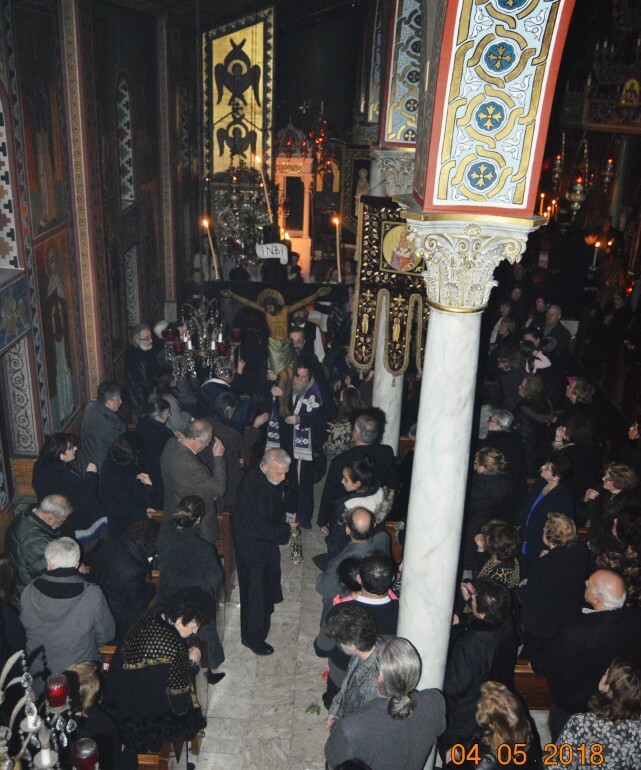 At around 2:00 a.m. in the morning, after the liturgy that follows the Ανáστασι, it is a goal to keep your λαμπάδa lit until you get home—a challenge, or in many casesan impossibility, considering the necessity of using mass transportation—to make a cross over the doorway and light the καντήλι–the lamp that lights the εικονοστάσι,the icon niche—so thatits powers of protection bring blessings on the house for the following year. The Holy Flame, symbolizing Christ, the Light of the World, burning once again after having died, is so powerful among Orthodox Christians that sometimes, in the Church of the Holy Sepulcher in Jerusalem (where the practice of the reception of the Holy Fire has its origin—said to have been 1,200 years ago), people have been trampled in their fervor to be the first to receive it. 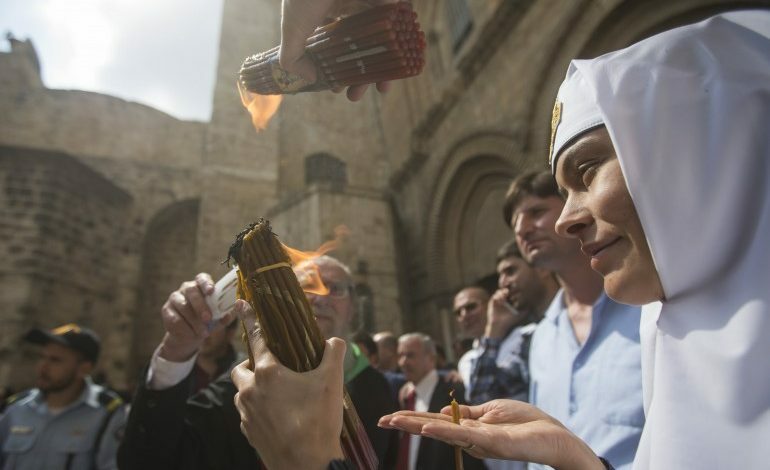 This ritual, the Ceremony of the Holy Light at the Holy Sepulcher on Holy Saturday, celebrated by the Greek Orthodox Patriarch of Jerusalem, tens of thousands of faithful pilgrims, from around the world and from the Holy Land, each clutching a bundle of 33 slender wax tapers representing the years in Christ’s life. A visitor to the Holy Sepulcher describes this suffocating crush as panic-inducing, his main concern being his elderly mother, accompanying him. Many men, he said, were riding the shoulders of others to have an advantage. Close enough to see, the visitor described the Ceremony of the Holy Fire, which began with the extinguishing of all the vigil candles in the Edicule, the small chamber of the Holy Sepulcher, as well as those in the surrounding Church of the Resurrection. The Tomb was checked by guards to confirm there was no igniting material, and sealed the Tomb so no one could enter. The Patriarch in splendid garb, and clergy then entered the Holy Sepulcher singing hymns, and circled it inside three times, symbolizing Christ’s three-day entombment. After he was searched to confirm he carried no lighting implements, the Patriarch was shut in the Tomb, while the people recited “Lord Have Mercy” many times. 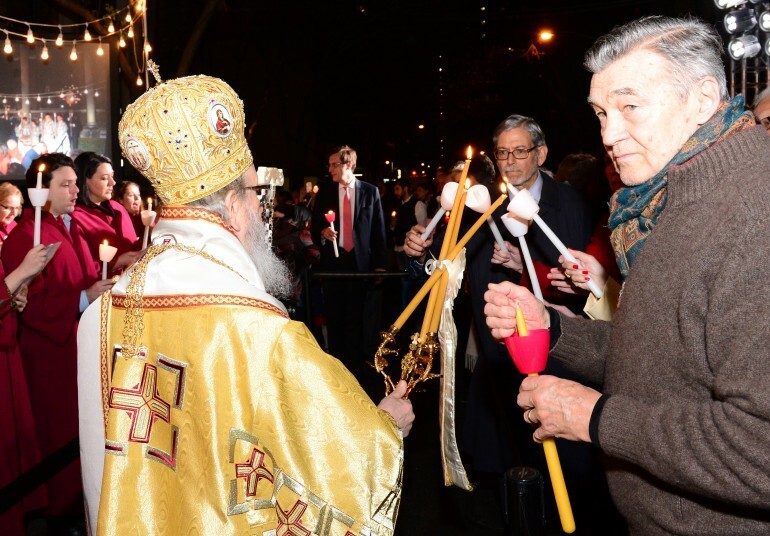 Suddenly, the Patriarch emerged from the Tomb holding in his hands two blazing bundles of candles that had spontaneously ignited, and there waa pandemonium, a sort of frenzy, with shouts of “Christ is Risen, as the crowds surged forward joyously to receive the light. Even though was he was an Anglican, Warren he did not doubt the miracle of the “descent of the Holy Fire” which came through the opening of the dome of the Holy Sepulcher and flooded the entire Church of the Resurrection with light. I have read in more than one place that the Greek Patriarch in Jerusalem states openly there is a vigil lamp kept burning continuously in the Tomb from which he lights his candle during this ceremony and that the prayer he utters at that time specifically invokes the power of the Holy Spirit to sanctify that flame. He asks why the prayer would be worded this way if the flame of his candle is already sanctified at that point and not ordinary fire? He also claims the guard ceremony has nothing to do with checking for hidden means of lighting candles, but is a re-enactment of the Roman guards who sealed the Tomb when the Body of the Lord had been laid there after His Crucifixion. This part of the ceremony is not the miracle. The latter part of the following quote below from the article would seem to confirm that, but the rest of the article seems to perpetuate the mythology that *at every point* the sources of the fire during this ceremony are miraculous. I certainly do not deny the miracle, but it seems to me believers and skeptics alike are done a disservice when we perpetuate the mythology that there is no natural part of this ceremony.